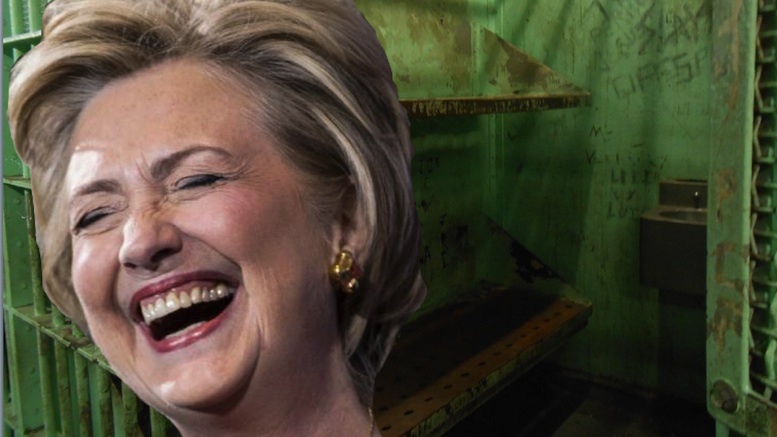 Hillary Clinton was in a generous mood today as she offered Presidential First Daughter Ivanka Trump the top bunk bed when they are both incarcerated for using private email accounts to conduct government business. Clinton says she spent the day putting her hands out waiting for the crowds who used to chant ‘Lock Her Up’ to take her in custody. But to her surprise, Clinton says, calls for the former candidate to be put in jail and the key thrown away have diminished in recent days. Be the first to comment on "Hillary Says Ivanka Is Welcome To The Top Bunk In Their Prison Cell"